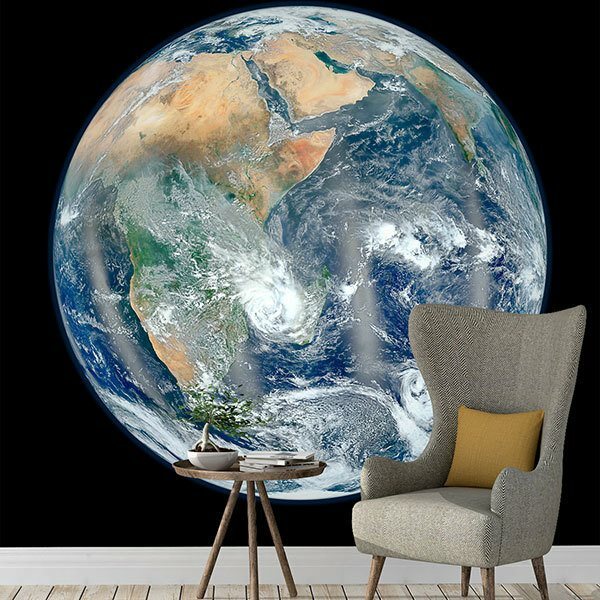 Wall mural Planet Earth. 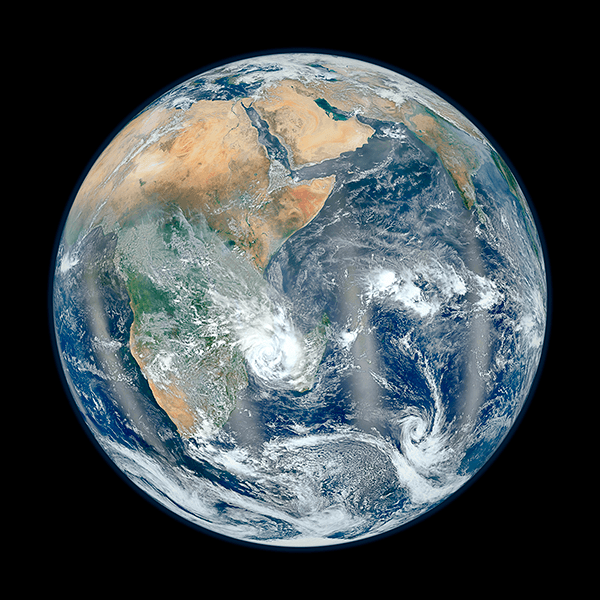 Amazing image of the earth from space, spanning Africa and the Indian Ocean with several storms and storms. Our planet is in the solar system and revolves around the Sun. 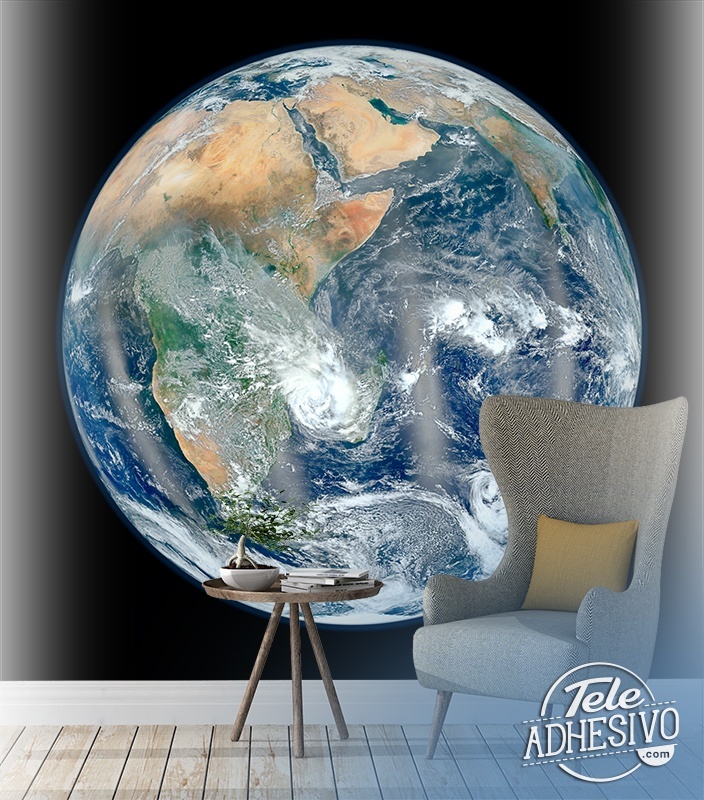 It is the densest planet and the fifth largest of the eight planets in the solar system.